NIDA. "Marijuana: Download the Facts Poster (Teaching Guide)." National Institute on Drug Abuse, 1 Sep. 2011, https://www.drugabuse.gov/publications/marijuana-download-facts-poster-teaching-guide. NIDA. Marijuana: Download the Facts Poster (Teaching Guide). National Institute on Drug Abuse website. 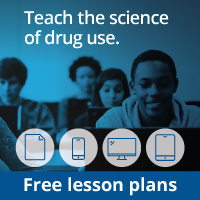 https://www.drugabuse.gov/publications/marijuana-download-facts-poster-teaching-guide. September 1, 2011.